You’ll find Deutz diesel engines working in a variety of applications. As the world’s first manufacturer of the four-stroke diesel engine, Deutz has led the way for more than 150 years in the areas of technology, power, and fuel efficiency. Many models of Deutz diesel engines for sale are already European Stage 5 ready, leading the way in emissions standards while providing plenty of power and torque. While Deutz Power Centers and Service Centers certainly support the current lineup of Tier 4 engines, we also support Deutz diesel engines from previous generations. 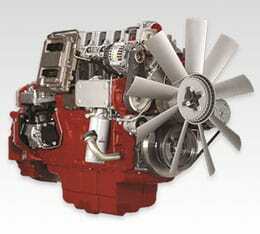 We’re also happy to discuss the complete current Deutz diesel engine models that are offered globally from Deutz AG. And of course, we’re excited to discuss what lies ahead, with upcoming diesel engine model introductions! 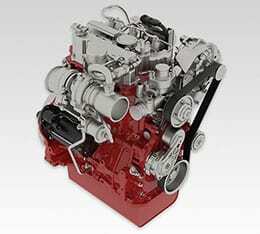 Since 1949, Deutz innovations have lead to the production of powerful, compact, fuel-efficient diesel engines. They have earned their reputation for producing some of the cleanest, high-quality diesel engines on the market. Deutz is known for excelling with ventilation requirements. Interested in learning more? Give us a call to discuss which Deutz diesel engines will work for you! Superior fuel efficiency and the ability to meet EPA TIER 4 Final requirement is a feat accomplished by Deutz Tier 4 engines. They offer low-maintenance or no-maintenance exhaust aftertreatment systems (EAT). 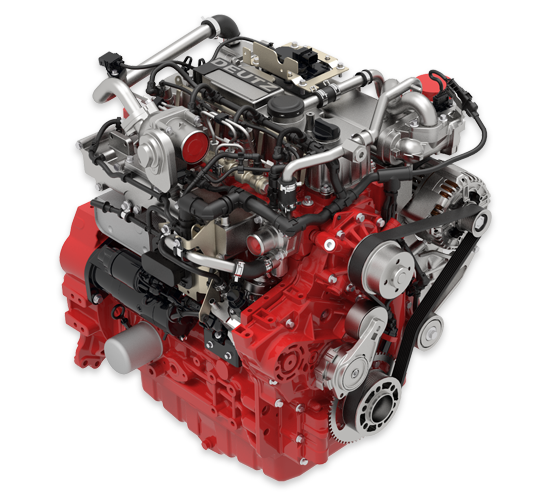 Deutz Tier 4 engines are powerful, clean, green engines known for their low cost of ownership, especially when considering they continue to meet and exceed emissions standards. Our machines are compact relative to the amount of torque provided. Deutz diesel engines are made to last, so it makes sense that Deutz Power Centers and Service Centers stock a wide variety of previous tier engines. Our team is here as a resource to answer any questions you may have regarding previous generation engines. If your previous generation engines are in need of parts or service support, we are here to help you get and keep your engines running efficiently. Industry leaders around the globe count on Deutz AG for their diesel engines. 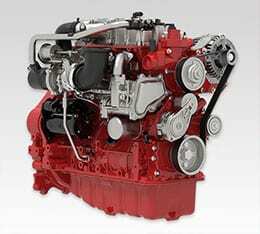 Since the Deutz AG site features engines used for countless applications in numerous market segments, they have further grouped diesel engine models by power range. Whether you need assistance with Deutz engines you already own, or you are in the market for a new diesel engine, Deutz Power Centers and Service Centers are ready to assist. We make engines for multiple industries, including Agriculture, Construction, Marine, Railway, and Automotive. In addition, we carry Material Handling Engines, Stationary Equipment, and Ground Support Equipment. Agriculture: With a power range of 50 hp to 697 hp, many of these engines have an optional modular exhaust gas aftertreatment system (EAT), which can be installed on the engine. Construction:With a power range of < 49 hp to 697 hp, several options include the use of DVERT® oxidation catalyst (DOC) to ensure maintenance-free operation. Marine:With a power range of < 49 hp to 697 hp, marine models are known for efficient fuel consumption and low maintenance costs, thereby reducing the lifetime running costs. Railway:With a power range of 336 hp to 697 hp, most models rank high in total system efficiency. This efficiency ensures low consumption and operating cost. Several models also rely on an innovative Deutz Multi-Parallel-Cooling System. Automotive: With a power range of 202 hp to 697 hp, Deutz makes installation simple by using uniform installation and connection dimensions in different exhaust classes. Material Handling:With a power range of < 49 hp to 268 hp, count on low fuel consumption and exhaust emissions. 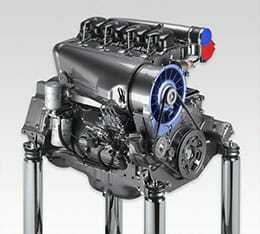 Optimum engine performance is maintained with a powerful Common Rail injection system. Stationary Equipment:With a power range of < 49 hp to 697 hp, optimized combustion leads to low fuel consumption and long oil change intervals. Ground Support Equipment:With a power range of < 49 hp to 697 hp, several models run maintenance-free thanks to the DVERT®oxidation catalyst and the optional DVERT® particulate filter (DPF). Deutz is a forward-thinking company with its eyes on the future. We engineer products that are ahead of the curve. Deutz took the success of the TCD 2.9 4-cylinder engine and created the TCD 2.2 L3, which opens the door for those looking for a lower output range. This is great news for those in the market for materials handling and compact construction equipment. Deutz is pushing its own boundaries offering both diesel and liquefied petroleum gas (LPG) variant options. Deutz conforms to a downsize principal that ensures customers they work diligently to provide more power production from engines with smaller cubic capacities. The TCD 5.0 is designed to be both powerful and compact. Deutz figured out a way to reduce performance losses from the oil and water circuits while avoiding heat shielding measures. By minimizing the pipework and using fewer components while maintaining a strict separation between hot and cold sides. Available in the third quarter of 2018, as part of the full series Tier 4 production, you will be pleasantly surprised by some of the additional features of the TCD 2.2 and TCD 5.0!